Squash House Quilts: Oh, Deer and a Winner! 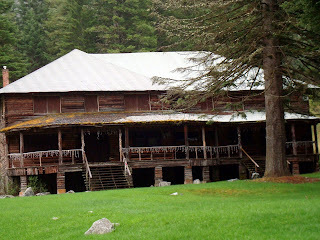 Before I announce the winner of Barefoot in the Park, I thought I would tell you a little about our trip to Wallowa Lake. Mr. Squash and I left Monday morning for the two hour drive to the lake in Northeast Oregon. We decided to take our time and meander here and there to places we've passed by before but never stopped. The first leg of the drive took us over Tollgate Pass at appx 5100 ft. When we got near the summit it was snowing and 30 degrees! We knew it was going to rain, but didn't expect snow! Once we began dropping down it began to rain and kept raining nearly the entire time! We passed through the small towns of Elgin, Minam, Wallowa, Lostine, Enterprise and Joseph before coming to the end of the road at Wallowa Lake. All the towns were very small, but we drove down the main streets of each one and managed to stop in a few cute little shops and antique stores. When we finally got to Joseph we discovered it was a tiny resort town just waking up from a long winter and spring and getting ready for the onslaught of tourist season beginning Memorial Day weekend. 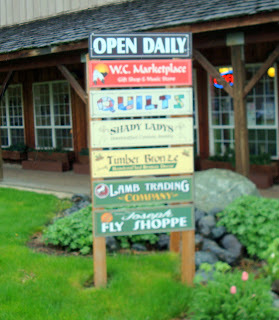 We were specifically looking for the fly shop, which we found - but check out this blurry photo of the shops in the small complex. Do you see the second business from the top? YES! 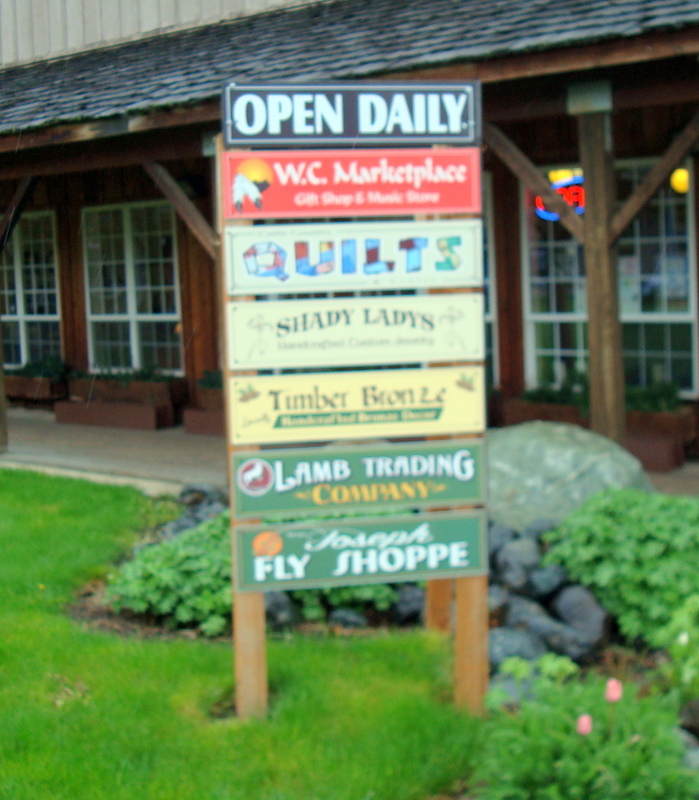 Not only a fly shop but a quilt shop in the same complex! Wheeeee!! 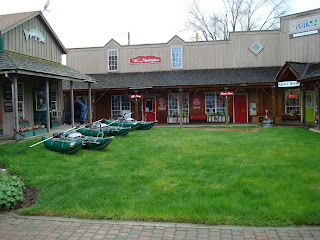 In the photo above is the fly shop on the left where the little boats are and the quilt shop just across the way. Oh, was I in heaven! We managed to drop a few dollars in each place and both came away satisfied! Then it was on to our cabin in the woods at the lake. The resort turned out to be old, well-worn but very clean. This old building was across the way - what it had been wasn't apparent, but it reminded us of something out of a Stephen King novel!! We had a nice cabin with a fireplace, king bed, kitchen and bath and TV all to ourselves. Being that it was so wet and foggy we couldn't explore anywhere on foot, so we were glad to be warm and cozy. I didn't even take pictures of the lake - you really couldn't see anything! In the late afternoon this small herd of deer appeared in the back. I took this photo from the living room window. I went out to the car to get something and decided to look around back and see if they were still there, which they were. I clucked my tongue and wouldn't you know they came running to me!! We had a half box of wheat thins that we didn't want to finish, so we decided to see if they wanted them. My goodness - I had three of them right up to my face all at once! I would hand out crackers and they had no problem taking them gently from my fingers! I even poured the crumbs at the bottom of the bag into my hand and they were eagerly licked up by this guy! Here I was trying to tell him I didn't have anything else! We had a very nice trip and scoped out some summer fly fishing spots! When the river comes down from snowmelt - probably late June, we'll go back for sure! Now on to the winner of Stephanie's PDF for Barefoot in the Park! I asked Mr. Squash to pick a number, which is 18 - Happy Cottage Quilter! Congratulations! Stephanie will get your PDF to you right away! I really enjoyed reading about where everyone would go for their first picnic this summer! Thanks to all for your great comments! I can't believe the deer were eating out of your hand - that is so cool! Sounds like you guys had a little adventure!! 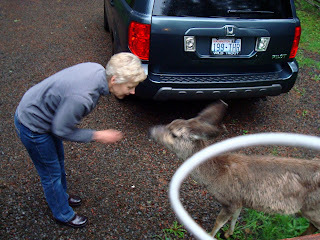 I can't believe the deer were so close and eating out of your hand!!! So cool!! I think I just wrote the same comment as Me and My Stitches. LOL!! I think you could use the word rustic to describe your lodge. How much fun to get away. Obviously people are no strangers to the deer. Congratulations to your winner and thank you so much for your support, Candace. That sounds like a perfect place for you both to come again. 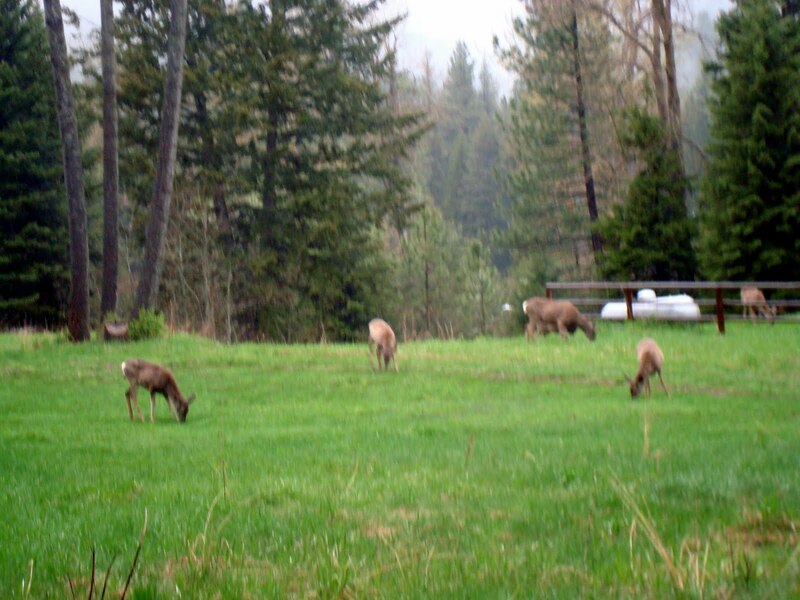 You must remember to bring deer feed with you! -Congratulations to the winner! 30+ years ago I roller skatted in that building. Sounds like a wonderful trip, topped off by some very friendly locals. Thank you so much for the wonderful Loft Creations pattern. I am super excited about it! I've been pulling out fabric to audition. Thanks too for the fun pictures and story about the deer. Looks like a nice trip and something for both of you when you got to the end of the road. Oh Candace, how very cool !!! 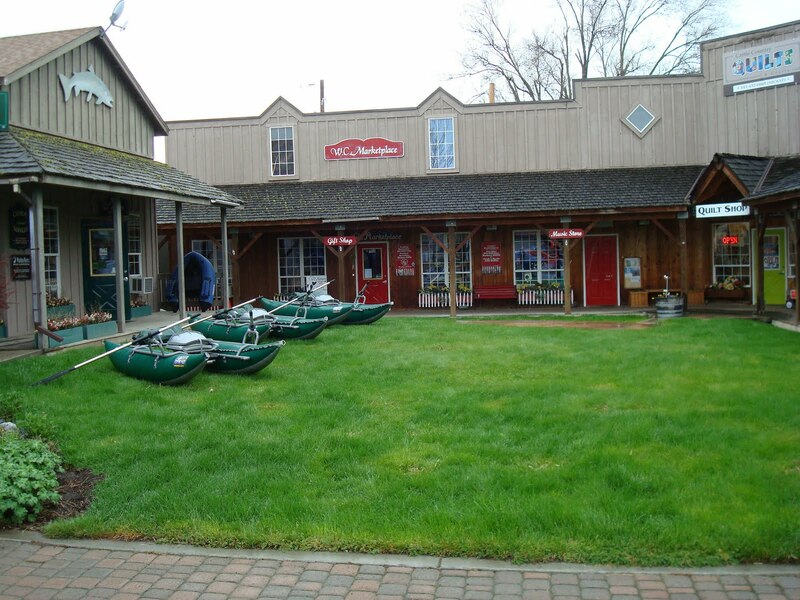 A fishing store and a quilt shop in ONE complex - I believe they call that "hog heaven"....LOL Cannot pass an opportunity like that up. How wonderful for both!!! I love the photo of the deer coming up for a little snack !! Even with the "not-so-good" weather, sounds like you and Mr. Squash made good work of your trip. Sounds like a great trip. What could be better than 2 of your favorite kinds of shops right next to each other.